Collecting Asylum: Asylum Reviews; LEGO: The Incredibles [Xbox One]. 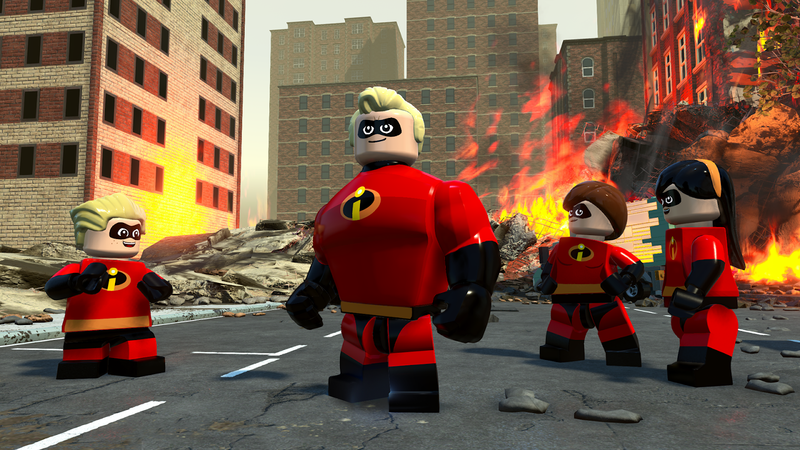 Asylum Reviews; LEGO: The Incredibles [Xbox One]. SPOILER WARNING: This game, as expected, heavily relies on the story of both Incredibles movies - so if you've yet to see either and are concerned about spoilers, turn away now! 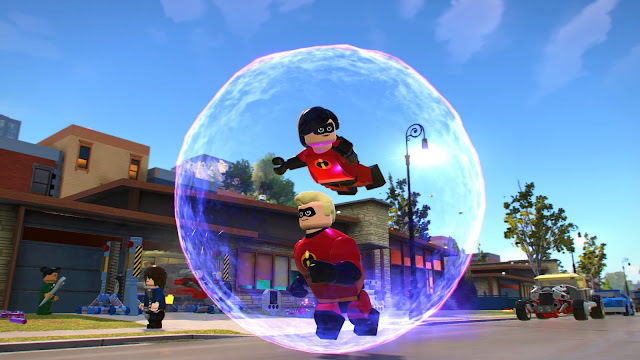 Recently we received LEGO: The Incredibles to review, and being huge fans of the previous LEGO releases (even reviewing a few of them before), we were super excited about this one. Sadly, we received it a few days before we'd seen the new movie, so had to delay starting to avoid spoilers - which brings me to my first point: If you have not yet seen Incredibles 2, you may want to wait a little to play the game so you can see the movie first. The game starts you off with the story of the second movie, and only after completion of that, do you unlock the story of the first movie. This was something that really quite annoyed me, purely for the complete lack of need - we would have been more than happy to play the two stories in chronological order. 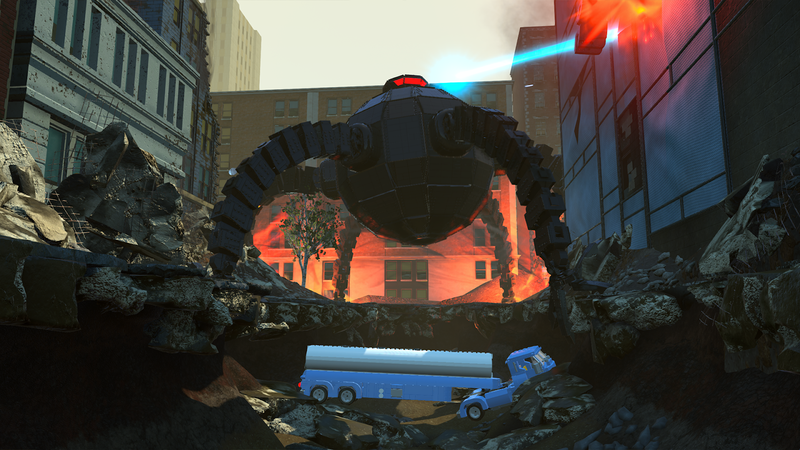 So as I've explained, we start the game right where the first movie left off - which is where the second movie begins: The Underminer wreaking havoc, and The Incredibles needing to save the day. The game sticks to the same formula that Traveler's Tales have used for every other LEGO game - with the ability to switch between characters to utilise a wide variety of skills, completing puzzles, and working your way through the story as a team. As always, there are always a minimum of two LEGO characters in play at any one time, which means that some plot points from the movie have been altered to accommodate an additional character (for instance, scenes that mainly involved/focused on Elastigirl now have a second character to aid her in the tasks for the game). These altered parts usually have some additional humour injected into them, which is a nice touch as they tend to give us a wee chuckle. Missions blend seamlessly into one another, but leaving you open to wandering off to do your own thing (prompting a "Leaving Mission Area" warning, to allow you to turn back if accidental), however some are so seamless you'll often not even realise you're beginning a new part of the mission until you're in too deep. This does encourage you to keep playing until you find a natural feeling break in the action, meaning that sometimes you'll check the time to see a few hours has passed! Typical of the LEGO Series games, this game is a dream for completionists and achievement hunters everywhere. The achievements (and/or trophies) can all be attained fairly easily, with no real need for grinding. The unlockable Red Bricks give you the ability to add Stud Multipliers - a staple of the series - so even the ones that look impossible to someone unfamiliar with the LEGO games (such as collecting 1 billion studs) can be achieved before you've even completed the main storyline. The free play mission select also allows you to replay missions with characters of your choosing, giving you access to previously blocked off or out of reach areas, in order to collect the leftover minikits and bricks to tick off those achievements, too. Voice acting is standard, with what seems like the vast majority of the lines being plucked straight from the respective movies. Additional lines to go along with the gameplay were recorded, but not using the original voice actors - sometimes this is quite apparent, and other times it's really hard to tell. This seems to be a fairly common thing for movie tie-in video games, and has always been something I can't quite decide how I feel about it. Sound design, in terms of explosions and environmental sounds seem to be done well, and the satisfying clicking of LEGO bricks snapping into place while doing builds is enjoyable, if a little repetitive. Whilst exploring the world, there will be random Crime Waves, where a surge of crimes will pop up in a particular region of the map for you to clear out. These can usually be completed by doing two or three missions, and then defeating the villain for the Crime Wave, it then unlocks the icons of collectibles on the mini-map. My personal recommendation for when these Crime Waves appear, is to do them right away. When not in a mission, if you enter a district with an active Crime Wave, you'll trigger a Breaking News cutscene, showing what's currently going down in the region. If you then do not complete the Crime Wave, and come back to this region again later, the cutscene will trigger again... and they're unskippable. You'll find a bunch of Family Builds available around the map, and Pixar-specific ones too, which allow you to build an item/place from a separate Pixar movie (they're all there!) and unlocks one of the characters. I really hope they branch out into other Pixar properties for their own games, but a lack of characters across each movie/abilities that they could work into the game may mean that this is the best we'll get when it comes to Pixar in LEGO games. Overall, we both really enjoyed LEGO: The Incredibles, and aside from a few gripes about the backwards order of the storylines, etc. we were mostly really happy with the game. It's definitely one to pick up, especially if you're already a fan of the LEGO games, or The Incredibles (or Disney, in general! ), however you may want to wait for it to drop in price a little, since it's pretty much predictable in terms of LEGO games. Have you played LEGO: The Incredibles yet? What did you think of it?